While there are many classic leadership books that are still relevant today – like Good to Great and 7 Habits of Highly Effective People – and a flooded market of other business books, I wanted to share …. My Top 12 Favorite, Hidden Book Gems that are a “must read” for every leader for 2014. 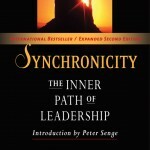 Synchronicity is an inspirational guide to developing the most essential leadership capacity: how we can collectively shape our future. Through his own life story, Jaworski posits that a real leader sets the stage on which “predictable miracles, ” seemingly synchronistic in nature, can – and do – occur. He speaks of proper timing — that situations unfold at their own pace that is impossible to rush. He shows that this capacity has more to do with our being and consciousness, than with what we do. I recommend this book for any leader who wants a better understanding of what makes himself/herself tick, as well as the same for their employees. As David Rock points out, improving human performance involves one of the hardest challenges in the known universe: changing the way people think. In this book, he outlines the 6 Steps to Transforming Performance by utilizing a discovery, question-based coaching approach in simple, yet powerful, 30 minute lessons to becoming a better leader. A must read for leaders who want to take their coaching capabilities to the next level. 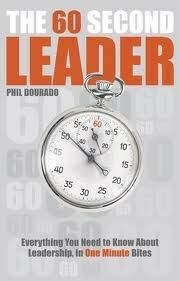 This book is the distillation of 30 essential elements of leadership into 60 second digestible chapters. There are also 30 true 60 Second Leader Tales in between the chapters to help bring the leader learning points to life. Stuck with a challenge or want a leadership focus for the day? Pick a lesson at random or do one lesson per day for a month. This book makes growing as a leader an enjoyable process. Another book gem comprised of 100 short, yet powerful leadership ideas for inspiring the best from others. Thousands of emerging and mid-size companies each year approach the dangerous transition that Doug Tatum calls “No Man’s Land” … when they are too big too be considered small but still too small to be considered big. Tatum discusses the 5 critical success factors for managing, driving and sustaining growth, along with case studies of companies that succeeded or failed during No Man’s Land. What are the underlying handful of fundamentals that haven’t changed for over a hundred years? Harnish outlines eight practical actions you can take to grow your company and strengthen your culture, based on best practices adapted from best-run firms on the planet. It’s an easy read. Because there are so many valuable insights and best practices that have worked in other companies, this is a book you want to read over and over again. Kevin and Jackie Freiberg’s previous book, Nuts! : Southwest Airline’s Crazy Recipe for Business and Personal Success, described the unconventional leadership that made Southwest an airline industry dynamo. 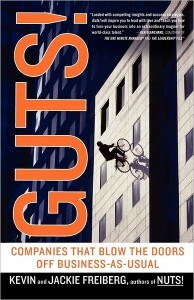 In GUTS!, the Freibergs look at twenty-five extraordinarily successful businesses and introduce the chief executives who are creating a new corporate ethos that blows the doors off business-as-usual. The leaders in the book share a common vision: They see business as a heroic cause and understand that good leadership isn’t a matter of position, but of influence. Unconventional wisdom for unconventional times. A book that shows how to get the job done and deliver results . . . whether you’re running an entire company or in your first management job. Larry Bossidy is an acclaimed CEO with few peers who have a track record for delivering results as he has. Ram Charan is an advisor to senior executives with insight into why some companies are successful and others not. Together they’ve pooled their knowledge and experience into one book on how to close the gap between results promised and results delivered that every business needs today. Success can be blind, even for the best companies. Such companies will eventually hit a performance wall … in some cases, many times. To survive this phenomenon, today’s business leaders must know how to manage through adversity while preparing their companies for a new rebirth of success. In Ruthless Execution, Amir Hartman identifies the central ingredients that help certain companies to get beyond the wall and thrive. You will learn when and how to recalibrate the balance between performance and growth; how to define a coherent, tightly-drawn business philosophy that maps to specific actions; new ways to promote accountability and alignment; and how to use performance metrics without burying people in meaningless trivia. E-Squared is a “do it yourself” manual with simple experiments to prove once and for all that reality is malleable, that consciousness trumps matter, and that you shape your life with your mind. Rather than take it on faith, you get to prove for yourself, through nine short experiments, how the power of intention can change yourself, your world and your outcomes. Yes, you read that right. It says prove. 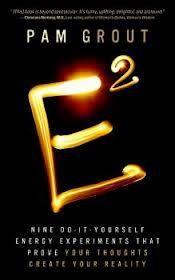 A must read for anyone who wants to experience powerful breakthroughs in 2014 … with less effort and in less time. In this ground-breaking book, C. Otto Scharmer invites us to see the world in new ways. What we pay attention to, and how we pay attention, is the key to what we create. What often prevents us from ‘being present, ‘ is what Scharmer calls our blind spot, the inner place from which each of us operates. Becoming aware of our blind spot is critical to bringing forth the profound systemic changes so needed in business today. By moving through the “U” process we learn to connect to our essential Self in the realm of ‘presencing’ – a term coined by Scharmer. When ‘presencing,’ we are able to see our own blind spot and pay attention in a way that allows us to experience the opening to new possibilities — and realizing them. Now you may be wondering … what the heck does a book written by a renowned cell biologist and former medical school professor have to do with leadership and business? This is one of my favorite books about the science of how our thoughts control our life. Bruce Lipton, through his own scientific experiments, shakes up conventional medical thinking with his findings that genes and our DNA do not determine our biology (or disposition to certain diseases). Rather our DNA is controlled by signals outside the cell, including our positive and negative thoughts. Through simple language, humor and everyday illustrations, his findings have revolutionized our understanding of the link between mind and matter and the profound implications to our lives. The implications are equally important to organizations where the focus is primarily on the tangible, yet it is the intangible (eg., our collective thoughts, emotions and beliefs) that drive your company’s outcomes. Enjoy the holidays and happy reading! P.S. Share your favorite leadership and business books in our comments section! We’d love to hear from you. 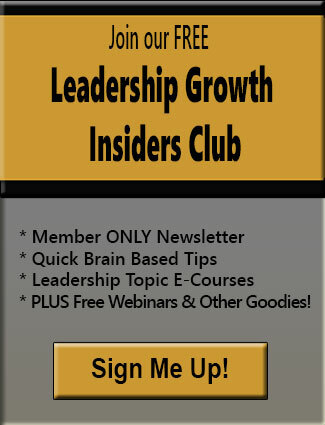 Posted by Denise Corcoran on November 30, 2013 in Fast Growth, Goal Achievement, Leadership Development, Leadership Performance, Mindset, Motivation, Organizational Transformation and tagged beliefs, execution, growing companies, inner game, leadership books, mindset, motivation, neuroscience, organizational performance, results, Rockefeller habits.